A group of dads and granddads in Little Hulton came together recently to organise a children’s competition to find the best dads in their community. Children were invited through their primary schools to write stories and poems, draw or send in pictures, videos and models to say why their dad is the greatest. 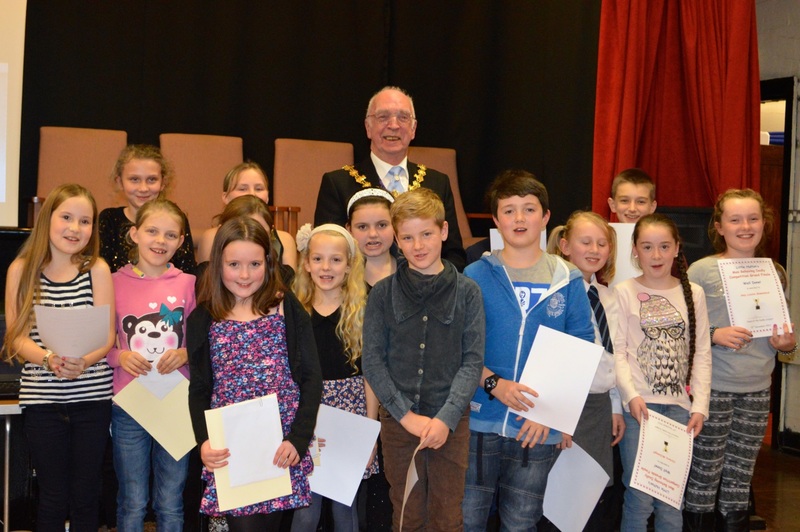 The finalists from each school came together at St. Paul Peel Community Hall recently for a grand finale, with special guest Councillor Alan Clague, the Ceremonial Mayor of Salford, handing out the prizes. The competition was designed to highlight the important role of men in children’s lives and to encourage men to come together to help each other. The ‘Men Behaving Dadly’ team of local dads believe that through helping men, the well-being of their children will improve. And we (5 of us) fly a kite. And always somehow he has time to replace wires. He works so hard so we can go to Alton Towers. It’s like, in his fingertips he has magic powers! But he wouldn’t know, he’s a blind as a bat! With such a wonderful dad. Over the next few months, the Men Behaving Dadly team will be putting together a series of events designed to encourage dads to come together to talk about what will help them. Anyone interested in getting involved can contact Engagement Worker, John Ryan, on 07717 186355. The team is encouraging any Little Hulton men who support children to come forward - not just dads, but granddads, uncles, brothers and stepdads.